Did you know that you can self-publish on LinkedIn, too? Yes, you can! 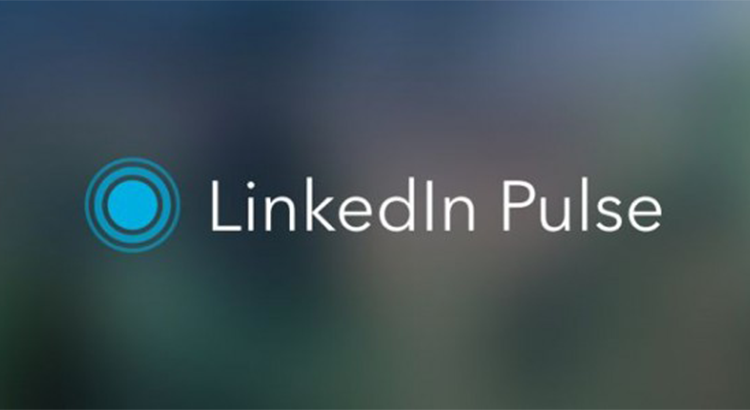 LinkedIn’s blogging or publishing platform is called LinkedIn Pulse. It is a platform that allows LinkedIn users to post blogs that were targeted towards people in their respective industries. Of course, from the platform, you can share your content with your target audience outside LinkedIn, too. Blogging is an effective way to build a personal brand. But, some say it is not for everyone. That’s why despite the benefits of LinkedIn Pulse, it is still a widely underutilized platform. 1. Pulse gets your content to people who matter. Bloggers typically spend years (yes, many years) building a following – a following that is engaged and are really interested in what the blogger is trying to sell (ideas or products and services), and actually do comment on the blog and share them with their friends and acquaintances. But you have to know that, typically, building an engaged following is not easy, it takes tremendous effort and time (by time, I mean “years”). With LinkedIn Pulse, however, you don’t have to target your audience yourself (you will when writing your articles, of course). Meaning, you don’t have to constantly share them and build a mailing list among others (things traditional bloggers would do). Pulse will categorize your content and share it with people it knows is going to resonate with. That is something your WordPress site will not do or your Google Blogger. Of course, you may also share your content in other media like Facebook, Twitter, and within LinkedIn itself. But then, our goal here is to engage with people who matter. And when we are talking about your career, these people who matter are 1) those who will pay you, 2) those who influence the people who will pay you, and of course, 3) your own circle of professionals. And guess where they’re lurking – Tada! On LinkedIn. 2. Your posts on Pulse are more visible on Google. According to Alexa, LinkedIn is a highly trafficked website (#18 in fact). This means a lot of people are coming in on LinkedIn. That also means Google is more likely to index LinkedIn’s content than any other blogging platform (including yours). Thus, your content on LinkedIn will more likely come up in Google search results. Achieving a good SEO reputation with Google takes a lot of work and time if you are hosting all your content in a custom WordPress blog, or any other content management system for that matter. Search-engine optimization (SEO) enables site owners to increase their visibility on search engines like Google in order to gain more visitors. With LinkedIn Pulse, you don’t have to go through the pain of optimizing your site and gain more visitors. But of course, you can host your articles on your site, and then publish them on Pulse as well (just provide an attribution saying your post was first published on your site). Again, remember that your goal here is to reach more decision-makers. We do not downplay the importance of establishing branding assets like a personal website or blog (we highly recommend those in fact). We are merely establishing the fact the Pulse is a good publishing medium, as well. 3. Blogging through Pulse will take your professional networking to the next level. LinkedIn is a professional networking platform. But beyond that, LinkedIn is an excellent blend of professional and social context – you can get social, at the same time professional. But it’s easy to get overlooked on LinkedIn, too. It is a fast-growing community with 3 new users every minute. A robust profile will not suffice if you want to achieve higher goals through LinkedIn. While a robust profile will still make you more visible to those who are deliberately looking for people like you (they are the headhunters or recruiters), a passive existence on LinkedIn will not attract the attention of decisions-makers who might spell a great difference in your career. Establishing thought leadership as you go higher in your career ladder is beneficial for you. And if you are into writing and you really have lots of experiences and skills, the best way to tell the world how valuable you are is by showing them how deep and valuable your insights are. That’s the essence of thought-leadership. Your resume will not totally spell out how good you are, but constantly and effectively sharing your insights might. All GIFs were grabbed from Giphy.com.